Mother of the bride can wear this fun shirt during the bridal shower, bachelorette party, or rehearsal dinner.Our durable, high-quality, pre-shrunk 100% cotton t-shirt is what to wear when you want to go comfortably casual. 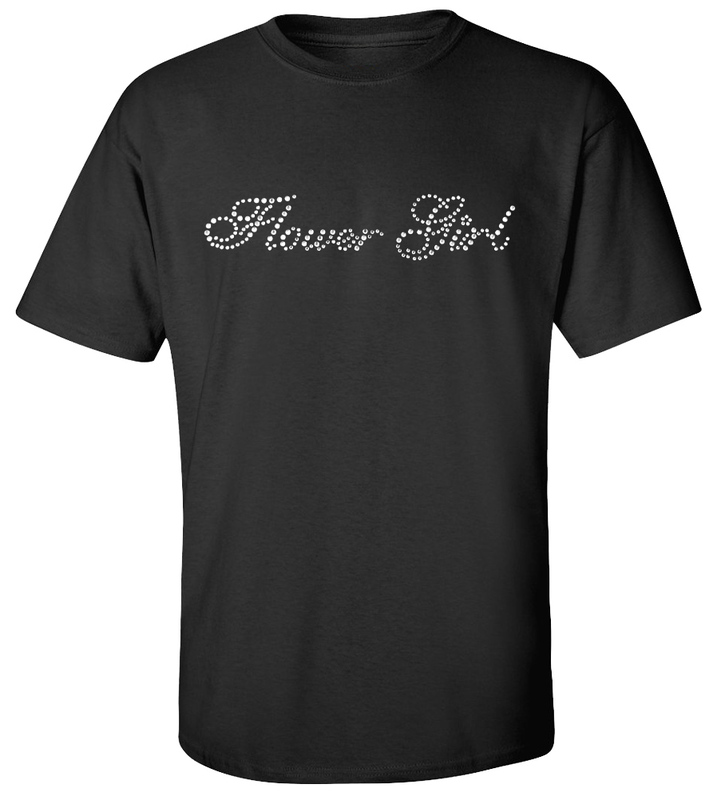 Personalized custom made funny T-shirts Flower Girl Rhinestones Wedding T-shirt will be a great gift for any of your friends, or just use by yourself to enjoy a nice day all year round. Our durable, high-quality, pre-shrunk 100% cotton T-shirt is what to wear when you want to go comfortably casual. Available in: White, Pink, Natural, Lime Green, Gold, Ash, Blue, Red, Black, Brown, Orange colors.